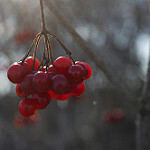 You may see bright berries left hanging onto branches in the winter cold this time of year. These berries are a source of food and a stiff drink for our resident birds. Listen in for more on the antics of birds this season as you join KBCS’s Yuko Kodama and Ed Dominguez, Lead Naturalist of the Seward Park Audubon Center, on a nature walk through the Union Bay Natural Area near Seattle’s University District.